Welcome to the new and improved Olympia District website! We hope that you agree that the updated website is a welcome change. If you encounter any issues when searching for needed information, please contact Ami Lawson at 309-379-6011 ext 1127. Another new addition for all the Olympia Schools is the creation of Facebook and Twitter pages. The staff at each Olympia school will use the new websites in conjunction with the new FB and Twitter pages to send out information more routinely. 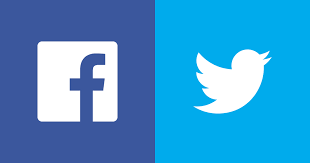 You may already be following the Olympia CUSD 16 Facebook page as it was created a few years back but be sure to like/follow the new pages for each school as well by clicking on the links below. The links will take you directly to each school's new page to ensure that you are on the correct one.